Influencer marketing is an incredibly lucrative industry – and a powerful marketing move for brands. Businesses, especially those new to Instagram and marketing on social media, should consider running an Instagram sponsored post from time to time. Don’t forget — Sked (formerly Schedugram) can help you manage your business Instagram, whether you’re a newbie or a veteran. Working with influencers gives your brand a face and personality outside of native marketing efforts and introduces your product to a broader, fresher audience. It’s a more-than-justified addition to your marketing budget. But with a rise in influencer partnerships and endorsements has come an increased interest by the Federal Trade Commission (FTC). In fact, they’ve kept a much closer eye on the ever-popular Instagram sponsored post and influencer activity over the last year than in the past. Though influencers have been the recipients of warning letters, both the influencer and brand have joint responsibilities to the FTC and consumers to provide clear and accurate sponsored content. So, how can your brand publish an Instagram sponsored post without getting slapped by the FTC? What are the specific rules? Is posting #ad in the caption enough? 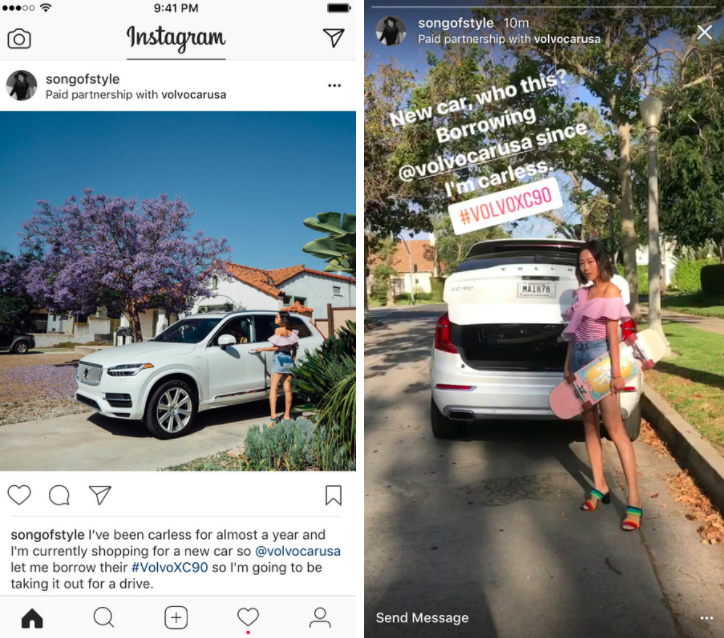 How can you navigate sponsored Instagram stories? Read on to find out. Does tagging count as disclosure? Does a free gift require disclosure? Only recently did the FTC start cracking down on endorsements and advertisements on social media, though. In 2009, the FTC issued an updated guide that covers endorsements and testimonials in social media advertising. They also published an FAQ of sorts to boost responsibility among influencers and brands regarding their Instagram sponsored posts. That’s a lot of legal jargon to read, isn’t it? That’s why we’re going to break it down for you below. Remember, if you want your brand to be successful and safe on Instagram, you must follow the FTC’s rules. Start here. The first question many businesses ask is when to disclose sponsorship in each post. Hmm, what does that all mean? Connection – Forms when your brand pays, trades services with, gives a gift to or establishes a professional or personal relationship with an endorser. Endorser – The influencer or individual who’s posting about your brand. So, why does the FTC require disclosure? It’s simple: To be transparent consumers. The purpose of the disclosure is to separate a paid endorsement from an earnest “Hey, I like this!” post. In short, if your followers can’t tell right away that your influencers have a connection to your brand, you’re probably violating the FTC’s rules. It’s just as much your responsibility as a business to follow the FTC guidelines as your influencers’ and partners’. In fact, most brands establish their own partnership rules (which we’ll discuss below). Basically, you need to be on the same page with your influencers to ensure that both parties are compliant. Let’s break down exactly how you can disclose a sponsored Instagram post and keep the FTC happy. There are a few different ways to communicate a partnership through a sponsored or endorsed Instagram post. To comply with the FTC guidelines, make sure you encourage your influencers to follow (at least) one of these methods. 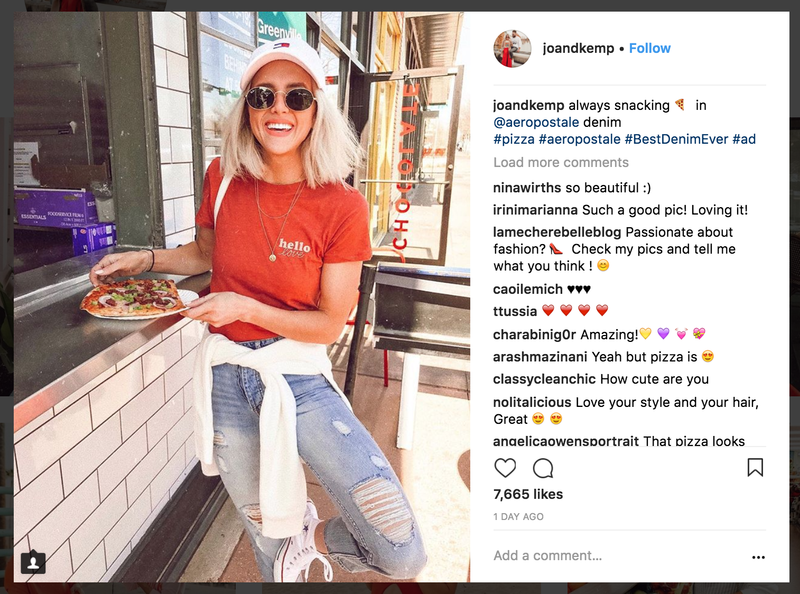 It’s been common practice for influencers to disclose an Instagram sponsored post by placing #sponsored, #spon, #ad, #paid, #partnership or a similar hashtag in their caption. Well, that doesn’t count as disclosure to the FTC. The only fully compliant hashtags for sponsored Instagram posts are #ad or #sponsored. 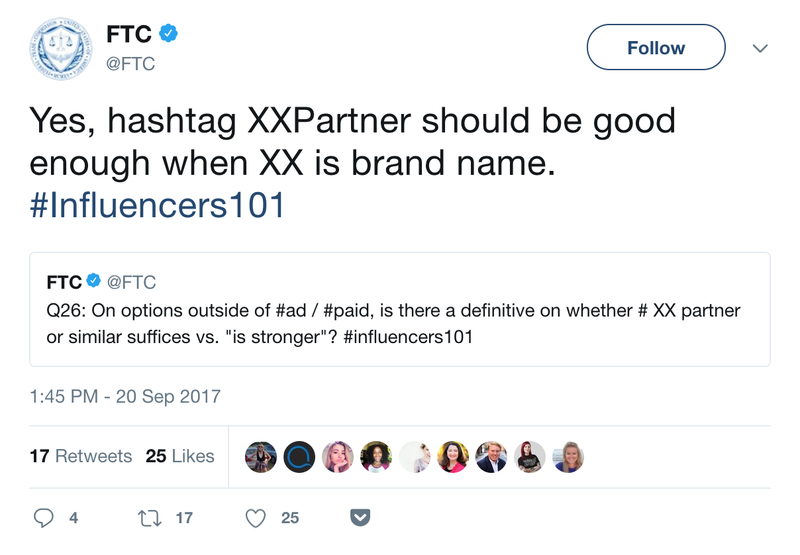 Also, the FTC asks that influences place these hashtags where consumers can see them, meaning you can no longer bury them in the middle or at the very bottom of a caption. Instagram captions cut off after 3 to 4 lines, and consumers don’t always click the “…more” to expand the text. “Consider your own viewing habits on social media. Do you click every CLICK MORE link? We don’t either. When disclosing a brand relationship, the better approach is to hit ‘em right between the eyes,” says the FTC. Lastly, don’t hide your hashtag in the middle of another, such as #adbySked or #sponsoredbySked. Although we always encourage the use of hashtags (they can increase your engagement by 70%! ), there may be an instance or two where your influencers choose to leave them out of a caption. Good news: You can still disclose without a hashtag, but you still need to make it very clear that the post is an endorsement. Remember, the goal is transparency. If your audience can’t tell the difference between a paid endorsement and an earnest “Hey, I like this!” post from the caption, you’re likely not disclosing correctly. Remembering all your different #hashtags and @mentions can be a hassle—and typing them out every time is painful. 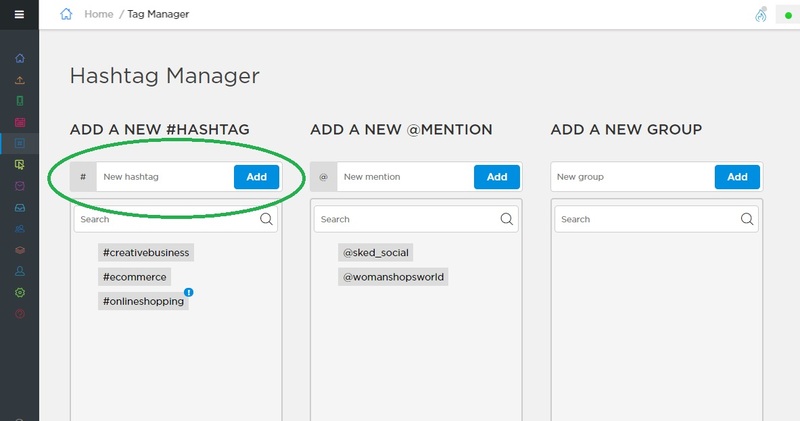 If you feel like you’re wasting too much time organising your hashtags, try using Sked’s hashtag manager to keep them in order. To get started, go into your account and click on the ‘Hashtag manager’ option in the sidebar menu. Then, type your first hashtag in the ‘New hashtag’ field and click ‘Add’ (see image below). (You can also save mentions or create a group of hashtags by following the same steps). Then, the next time you’re creating a post, just click on the hashtag symbol (green arrow below), choose between hashtag, mention or groups, click on the ones you want, and add them to your post. Easy! I mentioned above that many brands create their own hashtags and partnership campaigns in which their influencers can participate. You can do this, too. Creating your brand’s own endorsement hashtag is a good idea for a couple of reasons. It establishes another branded hashtag with which your business can be associated and separates your hashtagged posts from the millions of sponsored posts. It’s also beneficial for your influencers as a branded hashtag may sound more natural in a caption than #sponsored or #ad. If you choose this route, be sure you include your brand name AND partner when asking your influencers to participate. Only those hashtags count as compliant. 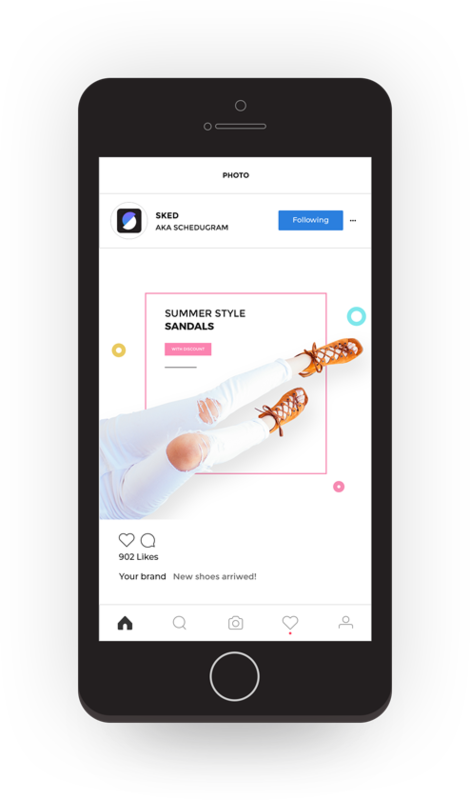 In June 2017, Instagram released a native tool for disclosing sponsored posts. 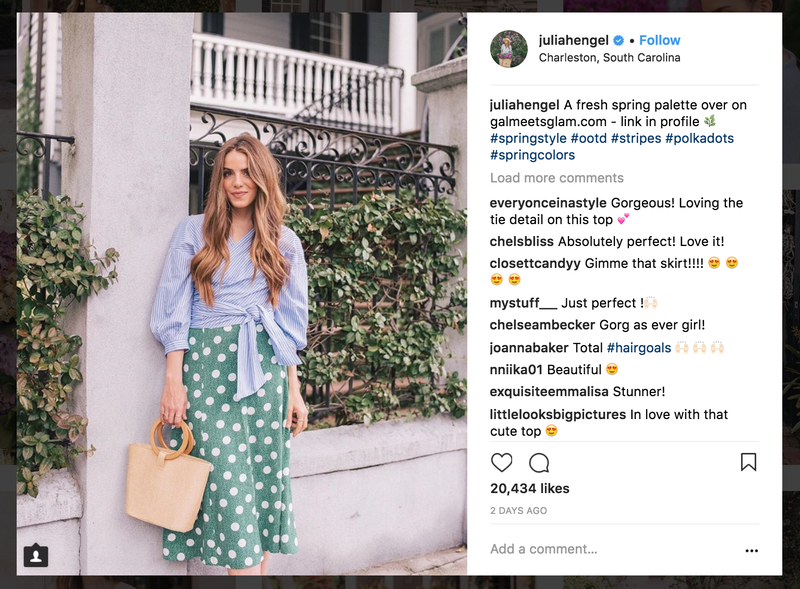 When an influencer is paid or gifted by a brand, the feature allows them to tag the brand in the top of the post (where the location tag typically is). 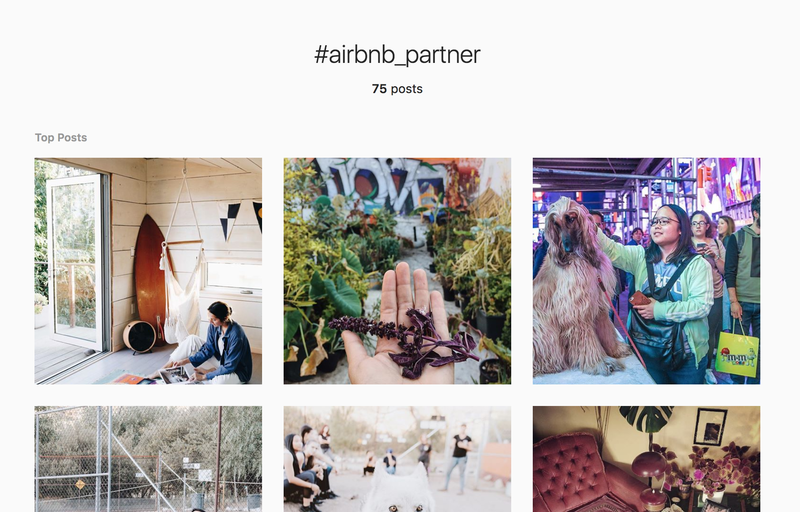 This tool is an effort made by Instagram to create more transparent paid partnerships and endorsements, but Instagram doesn’t yet require brands and influencers to use it. On the brand side, the feature is available to Business Profiles – although there’s no rhyme or reason to who can access it. While this new tool is a convenient reminder tool for influencers and brands marketing on Instagram, the FTC says that disclosure shouldn’t stop there. If you opt to use Instagram’s Paid Partnership feature, go ahead and pop a few hashtags into your caption, too. When it comes to the FTC’s rules, it’s better to be safe than sorry. Many influencers show off their products and partnerships through Instagram Stories, too. From unboxing to testing to reviewing, influencers and endorsers take advantage of Stories to show off their gifts and goodies. Does that mean influencers need to disclose sponsored Instagram Stories? Yes! According to the FTC, the disclosure must be visible and posted on every image or video that features an Instagram sponsored post. “On image-only platforms [like Snapchat or Instagram Stories], superimpose your disclosure over the picture in a clear font that contrasts sharply with the background,” says the FTC. Because many users watch Instagram Stories without the sound on, it’s important that you visibly mention #sponsored or #ad, not simply say it out loud in your video. Also, make sure your text disclosure is visible throughout your entire Story, even if you’ve already mentioned the hashtags. Again, don’t assume that consumers will detect an Instagram sponsored post. We’ve previously discussed how powerful tags can be on Instagram. 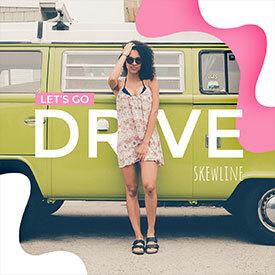 They can connect your content to new audiences, engage other brands and users, and help your posts land on the Instagram Explore page. But, is dropping a brand’s tag on your Instagram sponsored post enough to count as disclosure? Nope. In fact, tagging a brand requires disclosure. If an influencer has a connection (remember the definition from above!) with a brand and tags them in an Instagram post – even if that post itself isn’t sponsored – the FTC considers that an endorsement, thus requiring disclosure. For example, if an influencer posted an Instagram sponsored post in January featuring some Jeni’s ice cream (…yum), and then posted another unsponsored photo of Jeni’s in February (because it’s just so dang good), the FTC would consider that February photo an endorsement, too. 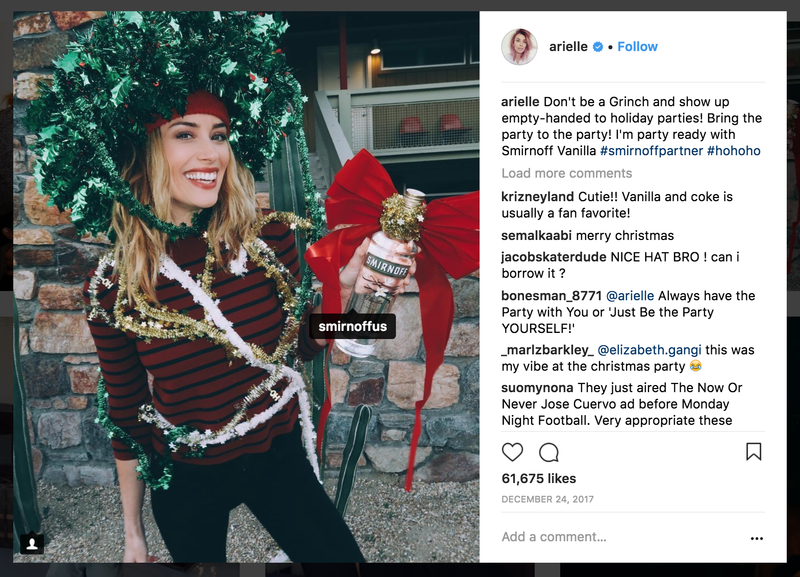 Essentially, once a brand/influencer relationship is formed, both parties should continue to adhere to the FTC disclosure guidelines, even if every post isn’t sponsored. 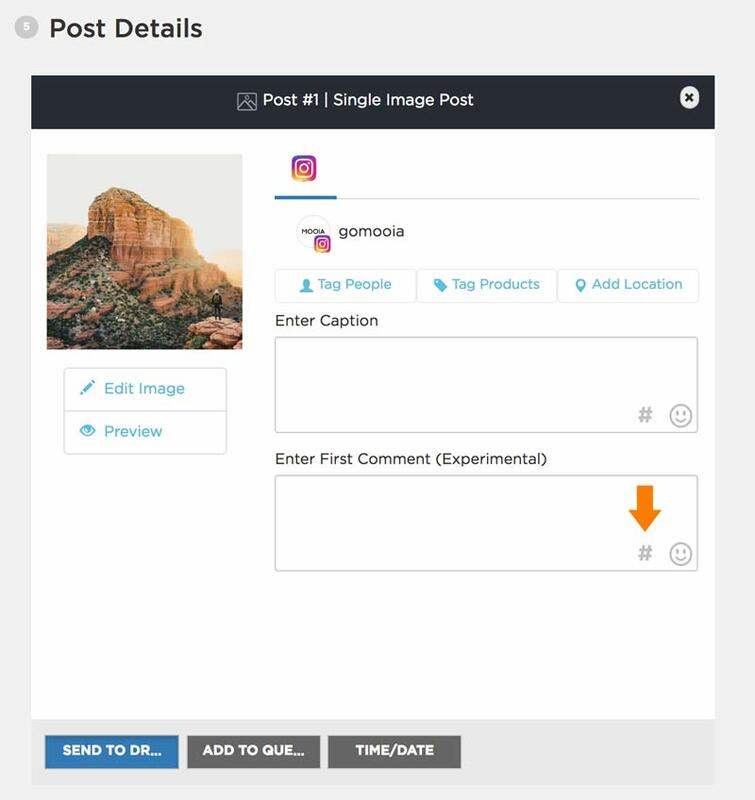 Did you know that you can tag people, products, and locations in your posts while you’re creating them with Sked? To find out more about adding tags to your posts and how you can use them to reach a wider audience, check out this blog post. Free stuff is awesome, isn’t it? And Instagram influencers receive a lot of it. If they choose to post about it, are they required to disclose that the product (or service) was gifted? According to the FTC, a material connection refers not only to being paid but also receiving free stuff – especially if it’s in exchange for social media exposure. 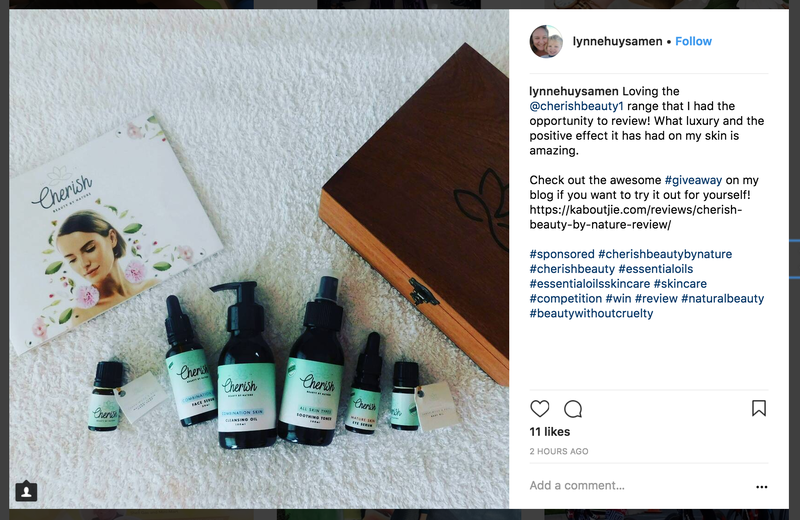 If an influencer receives a free product with the expectation that they’ll post about it on Instagram, they must disclose. This might seem like a lot of information to digest, but the gist is pretty simple: prioritize transparency for your consumers. If you can’t look at your Instagram sponsored post or Story and immediately understand that it’s a paid endorsement, then it’s not following FTC disclosure guidelines. A material connection (in the eyes of the FTC) is when a brand pays, trades services with, gives a gift to, or establishes a professional or personal relationship with an endorser. To properly disclose an Instagram sponsored post or Story, post #sponsored or #ad at the beginning of the caption or visibility over your Story image or video. Tagging a brand in an Instagram post (even if the post isn’t sponsored) requires disclosure only if the influencer has a prior professional relationship with the brand. It’s just as much a brand’s responsibility to follow FTC guidelines as it is the influencer’s or endorser’s when creating an Instagram sponsored post. When in doubt, disclose! Keep your brand’s Instagram activity safe and successful by complying with FTC guidelines and providing full transparency to your consumers. They’ll thank you for it!